Looking for awesome horse and pony games? Try Planet Horse! It lets you have as many horses as you want, and there are a lot of them to choose from. You choose if you want it to be a jumper, strong, or fast horse, or an overall. Then you train and go to English riding shows to compete against the game's riders. The graphics are good. It includes cross country, show jumping and trail riding. Try it free for an hour! (I warn you...you’ll want to keep playing. It’s really fun! 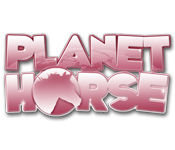 After you've played, com back here and share your review of Planet Horse! So this game is great but when I get to one level I keep failing even though I'm doing everything right. I recommend it though. Can I play horse and pony games on my iPad? Please fix it up so that we can play these games. That would be much appreciated! I love this game it's so fun! It is one of my favourite games ever! Did you know that horses are my favourite animal in the world! Awesome! Best game ever peeps! Anyways enjoy! I love this game. It is perfect for young players like me. I am 10 and I love this game! I love this game, this is just like real life (for me) because I live on a ranch my mom and dad own with 14 horses! SOOOO FUN!!!! Is it free? Because I am looking for a horse online game and it has to be free. These games are worth the cost because there is so much to do and many varieties of horses and colors to choose from. You can ride in 3D controlling the horse in many activities. I LOOVVVEEE IT! Absolutely love it! But a few requests. It costs money. I searched for free horse games, no download and it brought me here to that game yet your description is completely misleading. i really like site get to adventure with why be free? I have never played it, can't wait to find out. Downloading now. I love this game but there are more that I can play on my iPad. There is Jumpy Horse, Horse World HD, Pony Trail, My Horse, Horse Heaven, Horse Life, Ranch Online. Think that's all I have found and played. Horse game Aroha is the best! This game is a really good 3-D horse game for girls mostly. It's not like your average boring sim game, you can actually ride the horse in 3-D. and control it with ur mouse. u can groom it and bathe it, buy it tack. u can also buy clothes for urself. u can ride it in three ways, cross country which is a trail and jumping combo, showjumping, and trail riding. it's all really fun and if u don't want to "compete", u can just do a trail ride and not follow the directions. like i said, it is mostly for girls and a lot of the talk is flowery or pink, but there is also regular stuff. a few bad things are that it is kinda hard to keep ur horse at a walk or trot, they mostly must make it easy to gallop or canter. but really is an awesome 3d horse game. sooo worth the money!!!!!! p.s: if u buy it on big fish, if ur a new costumer u can use a code and get it for only 2.99, so it's totally worth it!!!!!!!!!!!!!!!!!!!!!!!!! Hey! This is a awesome game! Right now I have a mare and a stallion. The mare's name is Merida (Mare-ida), The stallion's name is Max. This game cost a little bit of Money but it's worth it!!! I thought this game was a lot of fun! Although it was kind of easy i loved it!! This game is very fun, the graphics are really nice and the game had a decent choice of horses. I like the rich variety of levels in each ride style they have, I also like how you can travel to the USA with both cross country and trail riding! There is also a very good choice of items at the store for an affordable price! Earning medals isn't a huge challenge,and I also enjoy being able to buy more horses! I absolutely love this game! The graphics are fab and there is a wide variety of tack, clothing for your rider and how you ride in different ways! There is races, cross-country courses, show jumping and rides where you are given a certain object to collect as many as you can! This games is also available on iPad now, and it is just as good on this! I love it, I give it 5 stars. I totally recommend it! !